Upon hearing the word ‘tools’ I immediately jump to the conclusion that there is a rinky dink little cardboard box with some old rusty open ended wrenches and a some brad point drill bits or the like. Boy, was I in for a surprise! 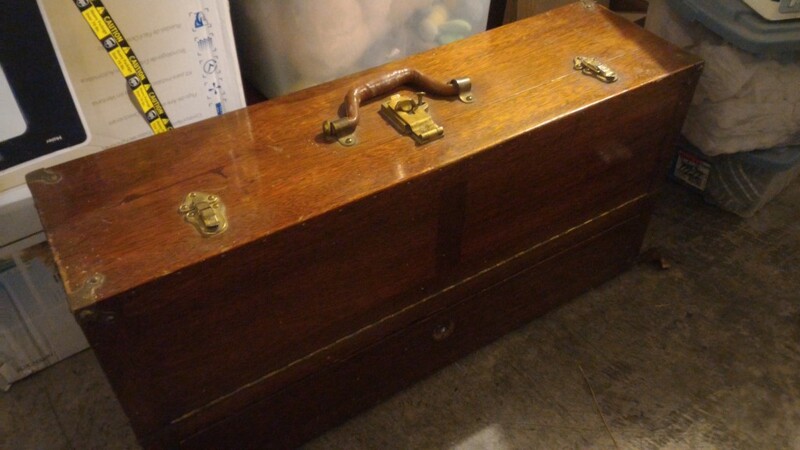 Turns out, we go out to her garage to check out this box that had since been forgotten and what do I find but a handmade, beautifully dovetailed woodworkers tool chest that weighs upwards of 100 pounds. There were definitely tools in here, I thought to myself. I turn the little key that is still somehow sitting in the latch and the case pops open like it was only last opened yesterday. Still trying not to get my hopes up, I tell myself it won’t be anything interesting, let alone something I can even use in my own woodworking projects. I pull open the front door and the first thing I notice are three Disston hand saws. No rust, all three as sharp as a razor. Whoa. Just a tad more digging reveals a surplus of chisels, whetstones, small drill bits, Russell Jennings auger bits (two complete sets), a set of nail punches, a few unknown Stanley measuring devices, an egg beater hand drill, a large 10″ auger brace, and last but not least, 2 Stanley Bailey hand planes. After some waffling, I decided to grab a few sizes of USPS flat rate box and see what I could fit most of the tools into while spending the least. I’ll say right now this was definitely a mistake. 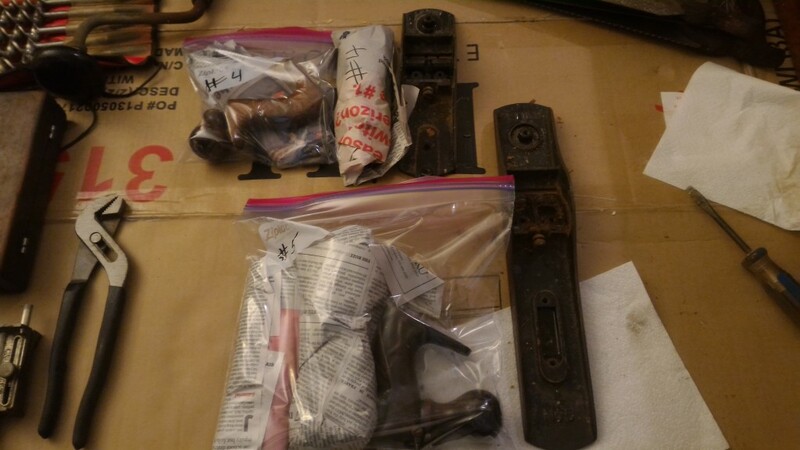 I disassembled the two hand planes completely and was able to stuff just about everything but the saws into a large flat rate box. 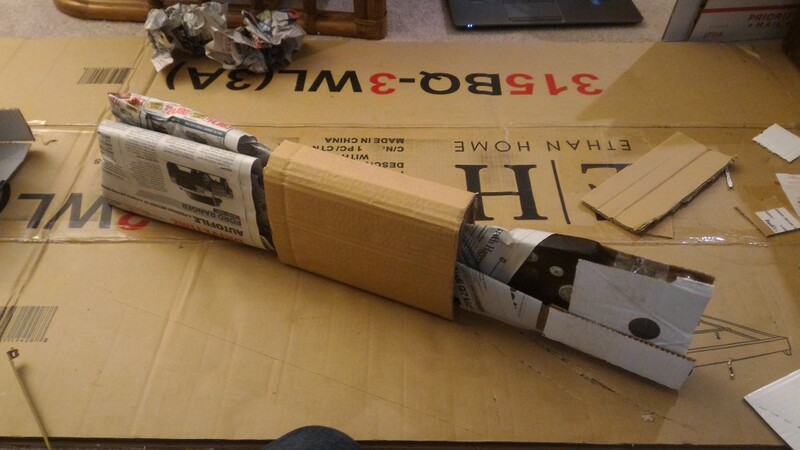 Everything was wrapped in newsprint and/or contained in a ziplock bag to keep all the small parts together. Shipped everything off, and then simply carried the empty tool chest through security to the plane. It ended up being gate checked since it was too long, but I was able to have them mark it to be claimed at the gate. This turned out a lot better than letting it go through to baggage claim and getting all banged up once it got to MA. 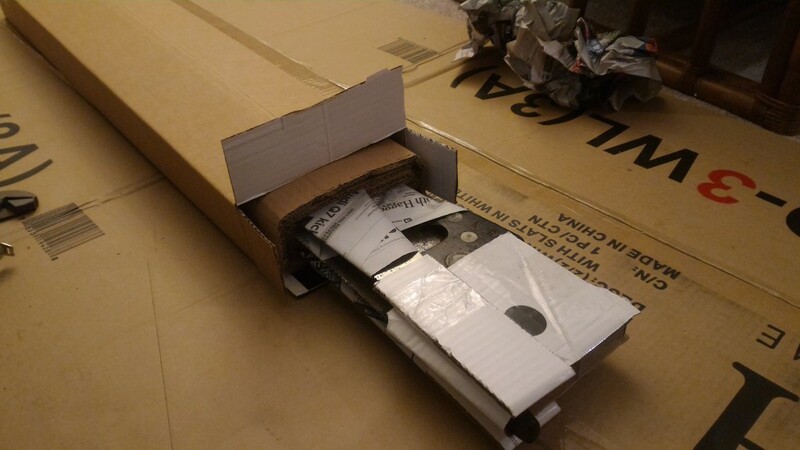 I was furious with myself for being dumb enough to pack 35 pounds of tools into a 1/4″ thick cardboard box…hadn’t I moved enough book boxes in and out of houses to know how cardboard behaves with heavy stuff in it?!? 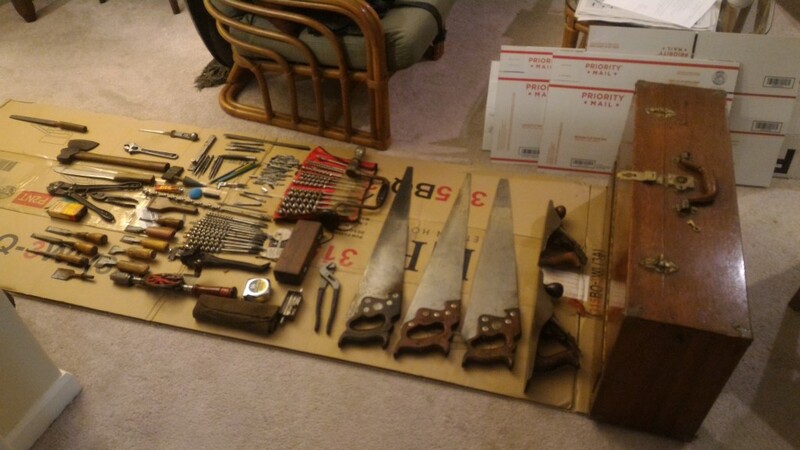 I was just trying to save a buck and force it all into one flat rate box rather than pay for two boxes for what is arguably the most valuable set of tools I have ever received. Anyway, USPS managed to keep everything (yes, everything!) inside the broken box and still get it to my house in 2 days. I think I owe them a plate of brownies or something. I was sure that there would be stuff missing and sure I could buy a replacement part, but it wouldn’t hold the same sentimental value. 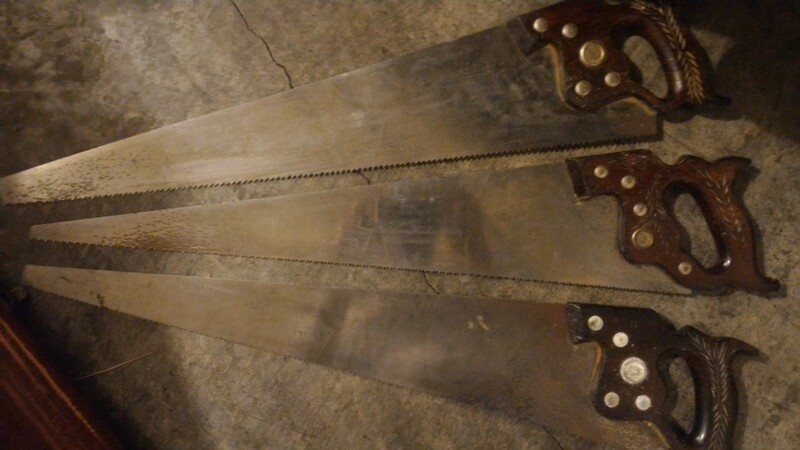 I still await the three saws (which were shipped regular ground due to their size) which should arrive soon. Fingers crossed it is an uneventful journey. The saws were packed much smarter than the tools were, and only weighing in at about 6 pounds, put much less stress on the box. I fully expect it to arrive in one piece this time. I am looking forward to having a couple more planes in my toolbox as well as three really good quality handsaws. The auger bits will certainly come in handy too. I’ll keep you posted as I clean everything up and get it tuned up to my liking over the next few posts. It seems like a classic story that tools like this are handed down through the generations, and sometimes end up in the hands of someone that can enjoy using them for many more years to come. Have you ever came into some cool sentimental tools before? Just this weekend, Dad gave me a no. 5 in old shape and he has a hand crank grinder he said could have. He said that was his grandfather’s. Great find!